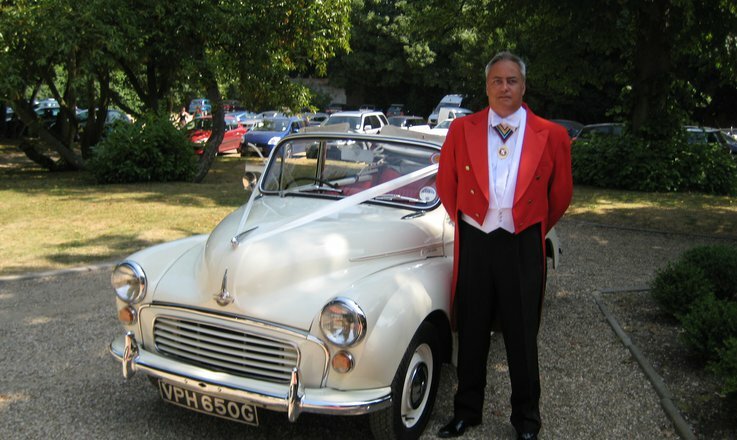 The icing on the cake, add a Toastmaster to your wedding day! 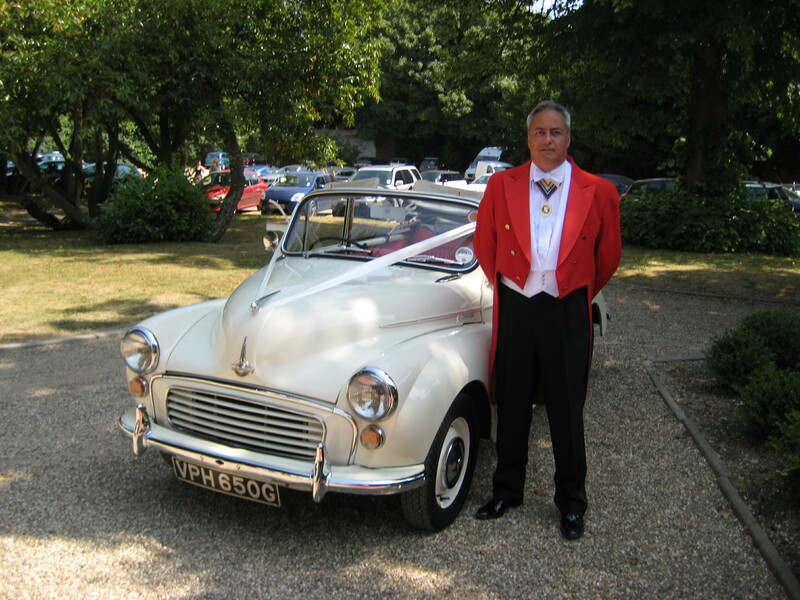 Enhance your wedding day in Berkshire,Bucks,Hampshire,Oxon and Surrey with Patrick Collins as your Toastmaster. Trained by Peter York; a protege of Ivor Spencer, Patrick is a member of the Executive Guild of Toastmasters & Towncriers. He will bring a calm and professional presence to your wedding day, making sure everything runs smoothly and will add a definite touch of class to your day in his traditional uniform of red tail coat, black trousers patent shoes white bow tie and Marcella shirt. professionalism. He can help ensure that there is a framework to the wedding that smooths the way for the day. He will answer those tricky wedding questions: Who makes a speech and in what order? Who proposes a toast and to whom? Who should be in the receiving line? When do you cut the wedding cake and all other questions on protocol and etiquette. Typically, on your wedding day Patrick will arrive one hour before the wedding in order to check timings with suppliers and key guests. Later on, after the wedding service he will greet the bride, bridegroom and guests and will guide them into the venue. He can help the photographer organise the guests for the all important photographs, and if you have one, announce your guests to the receiving line prior to the wedding breakfast. At all points, flexibility is Patrick's byword and he will help you create and manage your perfect day.